From the same people behind Standing Sushi Bar and Tanuki, Shinkansen offers "lunch on the fast track" just like Japan's high speed train that it was named after. Started at the end of last year, the branch at Ocean Financial Centre has a few high chairs at the wooden counter by the concrete wall. Bottles of spirits sat on black shelves reminiscent of that in a library, a hint that this place becomes a bar – The Secret Mermaid, when the clock strikes 7. 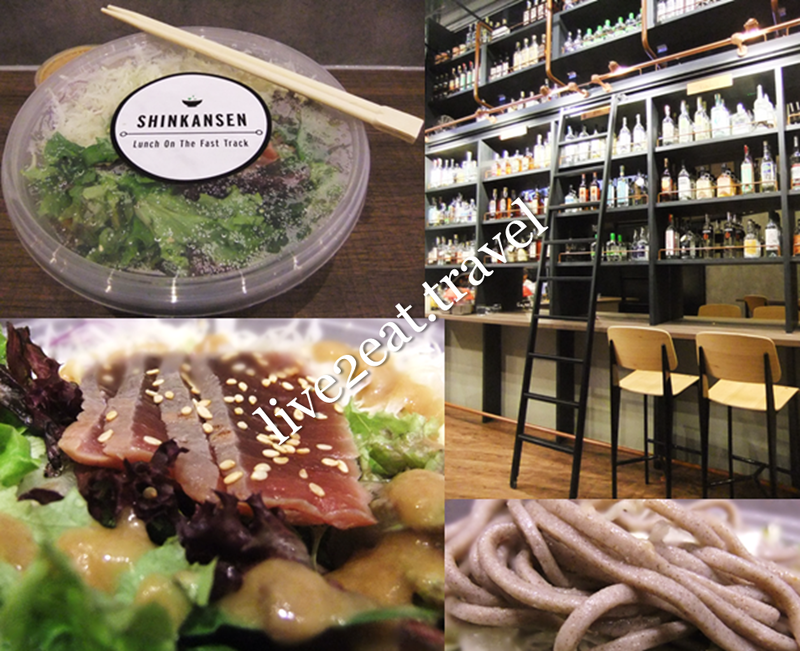 By day, it offers sushi and sashimi as well as design-your-own noodles, rice and salad bowls. Took me a long while to finally visit the Japanese fast-casual lunch spot, on a Saturday when food options in the area were limited. My Tuna Loco consisted of too little tuna tataki and sesame seeds for my liking but too much soba noodles and cabbage in onion sauce, which I could choose how much to add. Shinkansen can also be found at 100AM (do not expect the same industrial décor and day-to-night transformation) and United Square.